A strong, authentic fragrance for the sophisticated man. Designed for the sophisticated man with an affinity towards a modern, urban lifestyle. This masculine scent combines a vibrant, spicy note with a mineral accent to offer an edgy, yet cultivated fragrance that evokes adventure. One look at the stone Victorinox emblem on the bottle and you'll know that this is a fragrance for men who live life to the fullest. Elegant, strong, authentic – ROCK brilliantly combines all of these virtues. The fragrance impresses by its vibrant, spicy note with a mineral accent that gives it a distinct elegance. The urban, modern man is always in search of new quests. 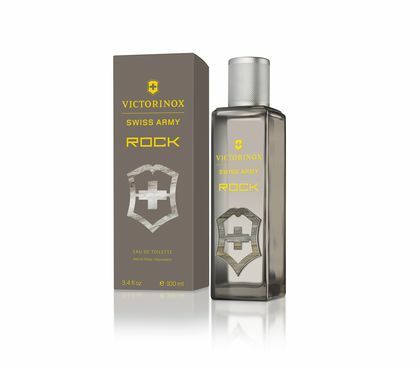 The new Victorinox Swiss Army Rock fragrance opens the door to a world full of freedom and adventurous spirit. The fragrance is exquisite and vibrant, but still clearly unfolds its strong, male character. Living life to the full, with unlimited self-confidence.